Roughly 43 million Americans rely on well water for their homes and businesses, and yet many of us take our water — and its source — for granted. Well water and municipal (city) water differ in a few key ways, and it’s important to learn the basics of wells, and well water in the Tiffin and Fremont Area. That way, you’ll better understand how those differences can impact you if you’re one of the many Americans drinking and using well water regularly. What is Well Water, and Where Does it Come From? While most common in rural communities, there are some smaller towns that also rely on well sources. Well water refers to any water that is sourced from an aquifer or groundwater source. These wells collect water that has seeped below the ground’s surface through the space in rock and other minerals to become part of the overall water table. They differ from surface water sources in this journey taken through the ground to reach the water table. Surface water, by contrast, refers to water collected from lakes, rivers, or built reservoirs. Is Well Water Different Than City Water? Wells use the single, unregulated source of a private or semi-private well, and many wells are individually owned and maintained. City or municipal water, on the other hand, is managed and monitored by the city’s water board and may be sourced from one or more locations. City water is also heavily regulated, regularly tested, and may come with additives like chlorine or fluoride, depending on where you live. Well water treatment, typically, has none of these characteristics. The type of well you have is most commonly determined by how deep the water table is in your area — or essentially, how deep you need to go before you hit water. Well types can also determine the kind of maintenance and upkeep you’ll need to ensure your water is safe. Dug or Bored Wells: As the name might imply, these are wells that are dug by hand (shovel) or machinery like a backhoe, and range in depth from 10 to 30 feet. Once dug, they’re lined (cased) with masonry like bricks, stone, tile, or cement. Dug wells rely on aquifers relatively near the surface of the ground, and can be more susceptible to contamination. Especially an issue in farming communities, these wells can be impacted by agricultural runoff (which can cause nitrate issues in water) as well as other contaminants like radon or arsenic. Driven Wells: These wells are deeper than dug wells, usually between 30 – 50 feet in depth, and they require a pipe to be driven into the ground. Like their dug or bored well counterparts, driven wells also rely on water that’s relatively shallow, which can mean they are more easily contaminated than their deeper groundwater counterparts. Drilled Wells: The deepest of well type, drilled wells can reach up to thousands of feet deep, sourcing deeper groundwater that is hard to reach, and therefore, less prone to contamination than driven or dug wells. The CDC (Centers for Disease Control) recommends testing your well water at least once a year to ensure it is safe to drink and use around the house. An inspection will generally include a licensed professional checking both the physical state of the well (evaluating the casing and location, etc.) as well as a chemical test to identify any possible contaminants in the supply. These can all be indications that something out of the ordinary is impacting the quality or function of your well, and the safest approach is to call an expert to determine what the issue is. In the meantime, drink and use bottled water until you can be sure the water is safe to consume. Want to learn more about well water, or schedule an expert to test it for you? 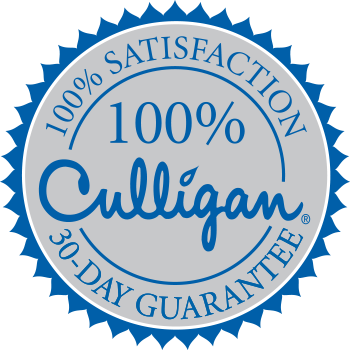 Culligan of Tiffin and Fremont can help.